8 Volumes, 27 Issues, 163 Articles available from 2011 to 2019. Goal of our International Journal of Finance, under the publishing title of ELK Asia Pacific Journals. With this Indian journal of finance, ELK brings an open online platform for quality content and innovative ideas that matches up with the high standards. Knowledge of financial terms and mechanisms are crucial in today’s world, not just for the professionals working in the field, but also for scholars who are preparing to be a part of the finance domain. An international journal of finance, being open access, is deemed as the best source of information for these financial terminologies and methods. Be it banking, insurance, risk management or securities trading, our Indian journal of finance strives to solicit new research that is being done by practitioners of financial theories, who seek to apply them to various spheres effectively. In a bid to bring this emerging knowledge to scholars and budding professionals, we nurtured our Impact Factor Journal of Finance and Risk Management. We, at ELK, attempt to disseminate innovative research ideas through our journal of finance. Though we began with a focus on the Asia Pacific region, now we receive contributions from all over the world to solicit in our impact factor journal of finance. Since we cover both theoretical and empirical work, our scope of publication is broad. Further, we accept contributions from academicians and professionals. The Advisory and Editorial Board possesses more than a decade of experience in relevant fields. This quarterly Indian journal of finance is internationally rated and listed in the Cabell’s Directory. We associate with renowned peer reviewers. Thus we ensure a union of the modern mechanisms working in the developed world, and the policies which help the developing countries. We accept submissions which are meticulous and reflect depth of insight in the focused area. Some suggested topics, which authors can consider for research papers are Commercial insurance, Capital structure, Reinsurance, Credit-arbitrage methods, Alternative risk-transfer mechanisms, structured financial products, Risk securitization, and Derivatives. Issues relating to the effective management of financial, operational, and business risk are also covered by the journal. 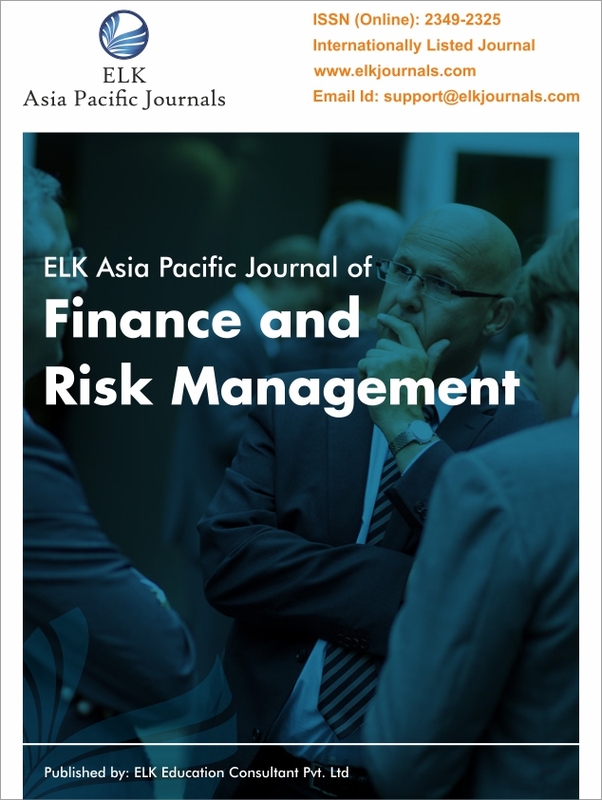 We publish a wide range of papers in the ELK Asia Pacific Journal of Finance and Risk Management, which include Book Reviews, Doctoral Dissertation Abstracts, Research Papers, Case Studies and industry reports.